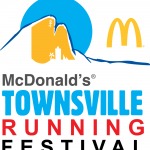 The McDonald’s Townsville Running Festival on Sunday, 5 August 2018 includes a full 42.2km marathon, 21.1km half marathon, 10km Classic, 5km run/walk for adults, corporates & juniors, and 2.5km Hero Run. The AIMS accredited courses are fast, flat and hug the coastline. 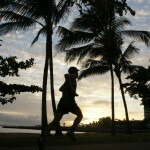 The Townsville Marathon is Australia’s second oldest race and gives runners spectacular views of the Coral Sea, Magnetic Island and The Strand. The full marathon can be run solo or as part of a 2 to 3 person team relay, with 50% of your entry fee going directly to Mates4Mates when entering the relay.